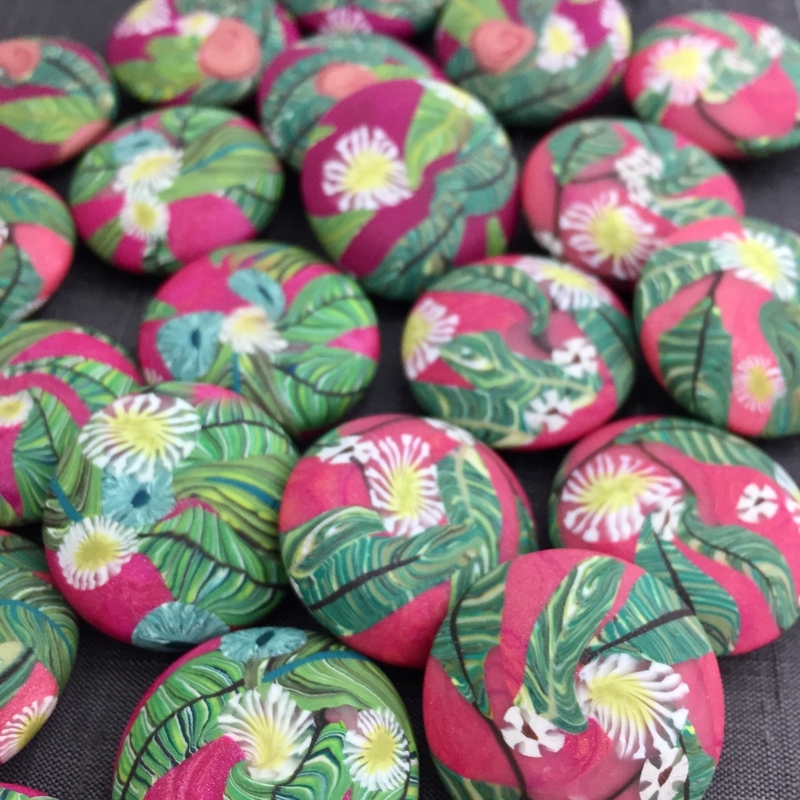 Everywhere you look tropical leaves are popping up in fashion, paper goods and home decor. 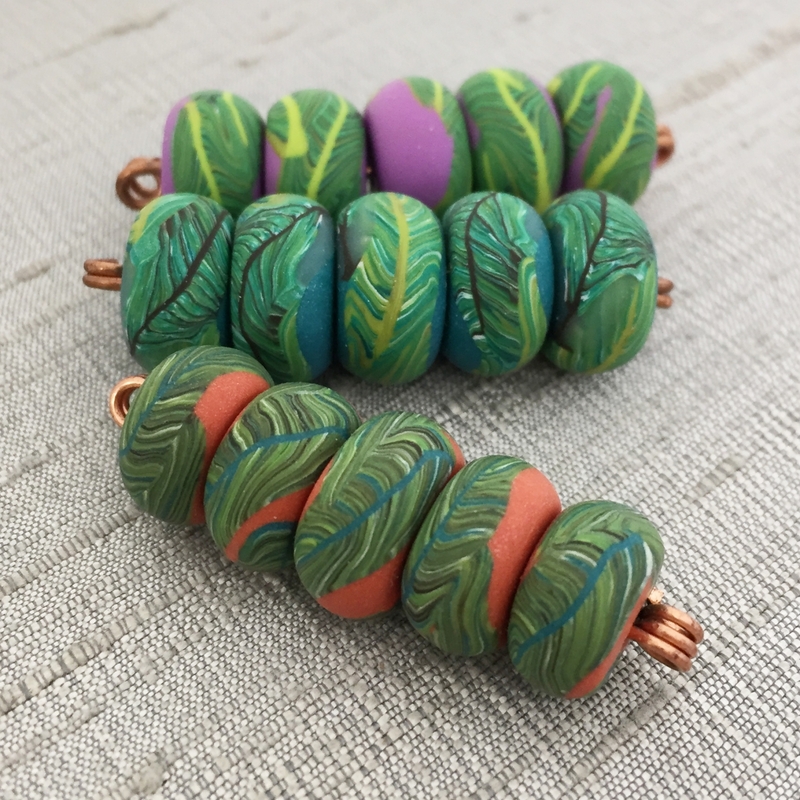 Learn to create these trendy lush tropcial leaves and flowers in this polymer clay beadmaking class. 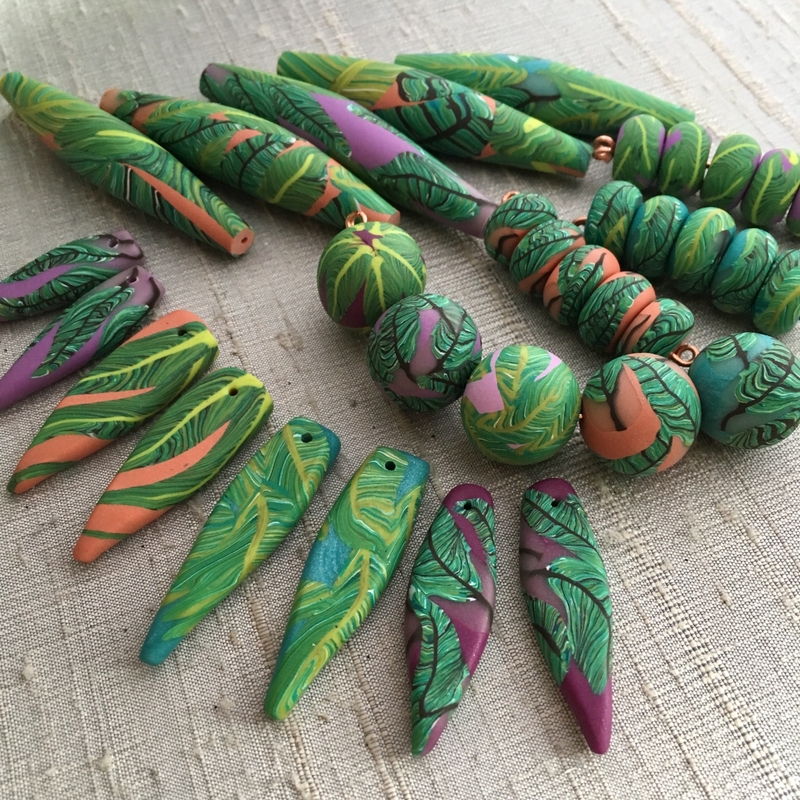 The class will cover color tips, polymer clay basics, bead construction, 2 leaf designs and 4 flower designs. Class materials will be presented in a series of videos and a PDF workbook. 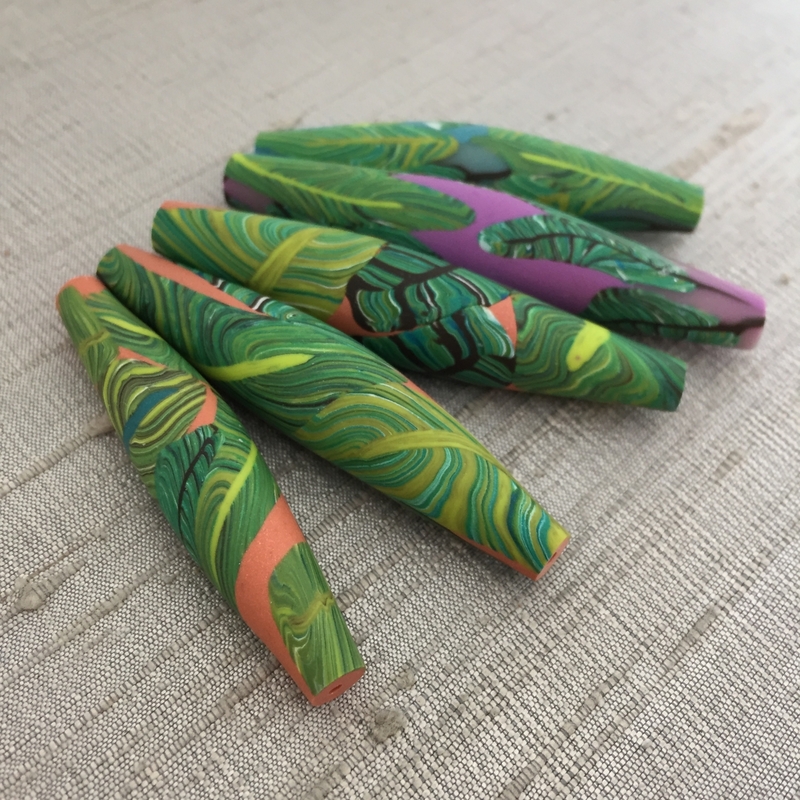 Exclusive Facebook Live jewelry project video class. 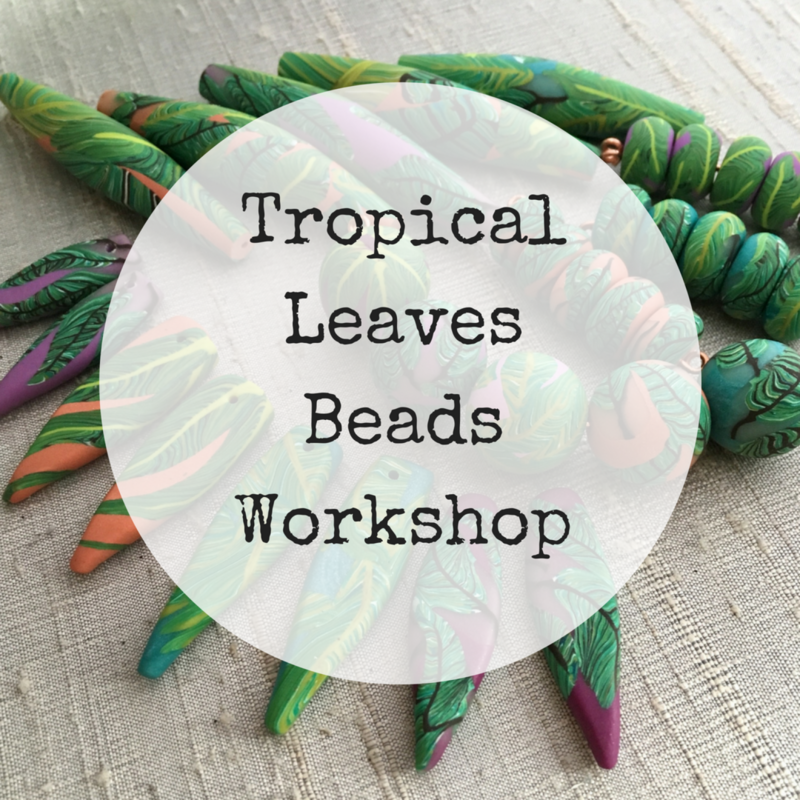 Join me on May 3rd at 7pm EST for the live class in our private Facebook group. 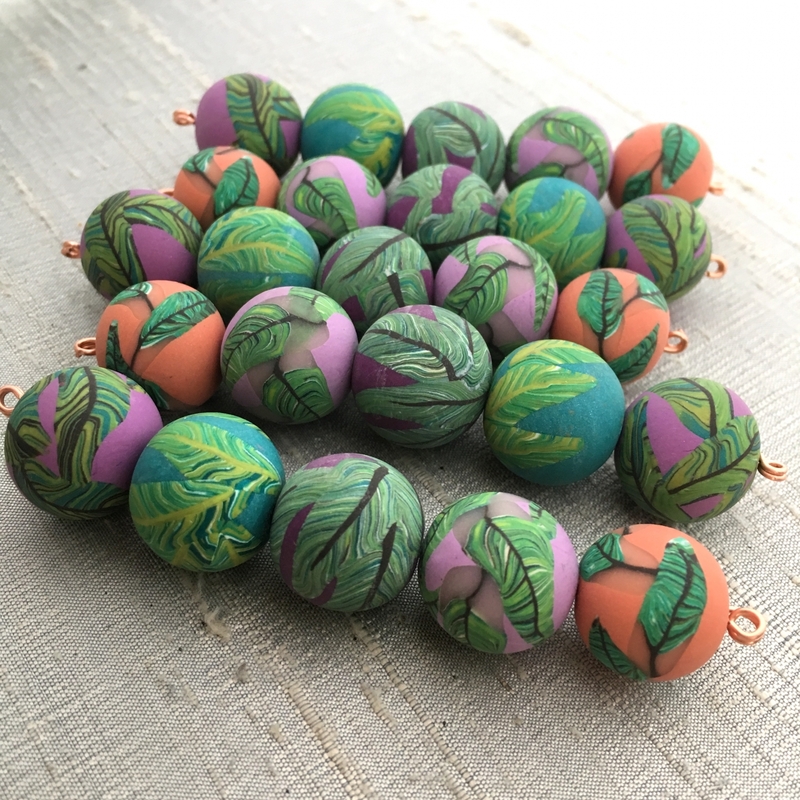 I'll share several jewelry projects featuring the beads from our class. Can't make it to the Live event or don't use Facebook? The video will be posted in the classroom after the event. The workbook and videos will be posted in the private online class (a blogger blog) on April 27th. You will have lifetime access to the class materials and Facebook group. Can't make it on the 27th? Download your materials anytime and work on your schedule.